2 bedroom 2 bathroom fully self-contained apartments. Including full kitchen and laundry facilities. Air-conditioning and Cable TV is available in all apartments. 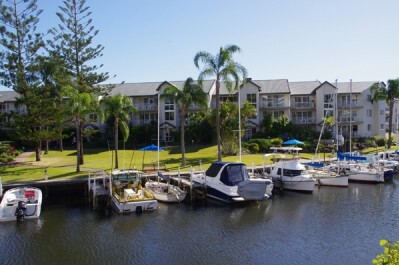 Main bedroom comes with Queen bed and ensuite shower/toilet, second bedroom has two single beds and our Broadwater Self Contained Apartments comes with a separate bathroom laundry and a separate toilet. Cots, high chairs and rollaway beds are available for hire. The maximum occupancy is 6 persons.